Below are the Financial Leadership Workshop FAQ (Frequently Asked Questions). If you still do not find the answer you are looking for, then please contact us here. Q: Where is the Financial Leadership Workshop? A: The Financial Leadership Workshop is hosted at our offices at 2101 CityWest Blvd., Houston, TX 77042 for the classroom session. The workshop can be given one on one at your location or ours. Q: When is the Financial Leadership Workshop? Q: How long is each workshop? A: Each workshop day is from 8:30am-5pm. There are several breaks spread throughout the day – morning, lunch, and afternoon. Q: What happens if I can't attend a class? A: Whether it's an emergency situation or you have a previously scheduled conflict, we understand and want to work with you. That's why we have structured each day to be completely independent. While there is a brief review of the previous day, you can attend the days out of order. Simply, come to the next workshop for the day you missed. For example, you started your series in January 2019. You have a conflict and cannot attend Day 4. You can come to Day 4 of our March 2019 Series. Another option is to schedule a one-on-one coaching session to your coach – there will be additional costs associated with this option. This is a case by case situation. Q: What happens outside the Financial Leadership Workshop? Q: How much does the Financial Leadership Workshop cost? A: The Financial Leadership Workshops costs $4,000 per participant. One-on-coaching coaching is $8,000 plus reasonable travel expenses. Q: Are there payment plans? A: Absolutely! We request a 50% deposit up front and the other 50% 10 business days prior to the first workshop. Q: Can I get CPE credits for attending? A: The State of Texas Accounting Board authorizes The Strategic CFO to administer CPE credits to Certified Public Accountants. Q: How many CPE credits do I get for each workshop? A: A participant receives 9 CPE credits per workshop, totaling 36 credits upon completion of the Financial Leadership Workshop. Please notify The Strategic CFO team before the first workshop that you require CPE credits. Surveys must be completed after each workshop. Q: What do I learn from the Financial Leadership Workshop? 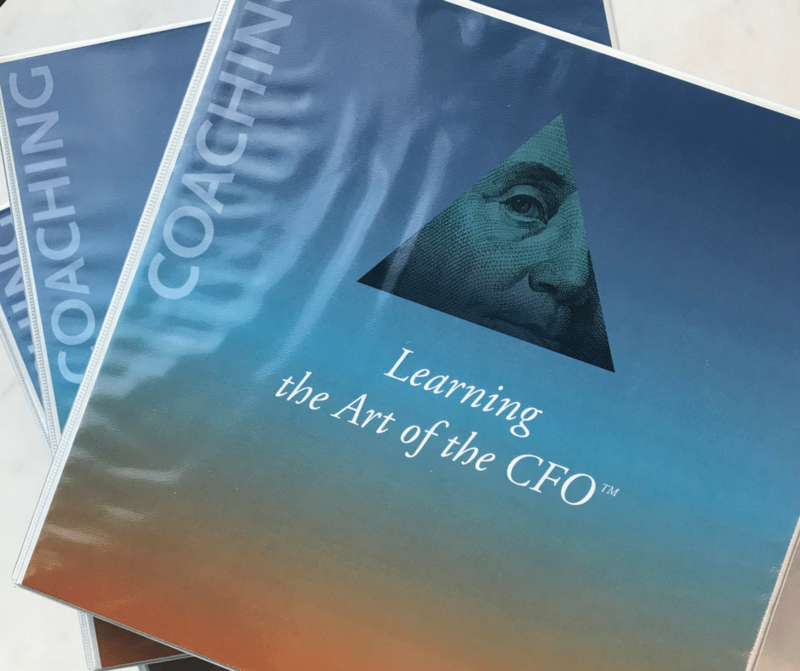 A: Our learning topics are selected based on two pieces of criteria: (1) what we know a financial leader wants and needs and (2) lack of common awareness and understanding in the financial industry. The first day of the series is focused on reconsidering perspectives on the role and duties of the financial leader and what a CEO needs. The participants are also trained with tools that can immediately be used to improve financials in their organizations. The second day of the series focuses on improving profit. Typically, financial professionals look to cutting costs to improve profit. You'll learn other methods that will enable you to be more of a strategic leader in your organization. The third day of the series focuses on the organization's financing and cash flow needs. Interact with bankers and learn how to manage your banking relationship to ensure cash flow needs are met in your company. The fourth day of the series focuses on developing your skills as a financial leader. We will take you beyond the numbers and you will learn how to advance your career by building effective relationships. There is also a lot of interaction with your coach tackling your real life challenges in accounting or operations. Q: Can I do 3 classroom setting workshops and 1 one-on-one coaching session? A: Yes! Whether the schedule doesn’t allow you to attend or you are not able to come to Houston, we can come to you on your preferred date for a one-on-one coaching. There is an additional cost that is negotiated before the first workshop. This is a case by case situation. Q: What does the Financial Leadership Workshop include? Q: Who attends the Financial Leadership Workshop? A: Typically, CFOs, Controllers, Finance Directors, CEOs, entrepreneurs, and business owners attend. Anyone that has influence or control over the financials can attend the Financial Leadership Workshop. In addition, we encourage anyone being promoted to a financial decision maker role (CFO, Controller, Finance Director, etc.) to attend. Q: Who is Dan Corredor? A: Dan Corredor is the President of The Strategic CFO and a 28-year financial executive. Read his bio here. A: The deposit (50%) is non-refundable. We are able to refund the last 50% if you are unable to attend the entire series. Q: How many participants are there in each workshop? A: Each class varies, but we cap each class at 10 participants. We do this because we want to answer each participant's questions and give them the customization they need.